Off The Campaign Trail, Onto The Gridiron: 5 Sports Books For Fall If you're tired of political competition, there's always athletic competition. And if your team stinks, we can offer sympathy and a selection of the year's best books about sports to ease the sting. Fall sports season is kicking off — and we've got some good reads to go with it. 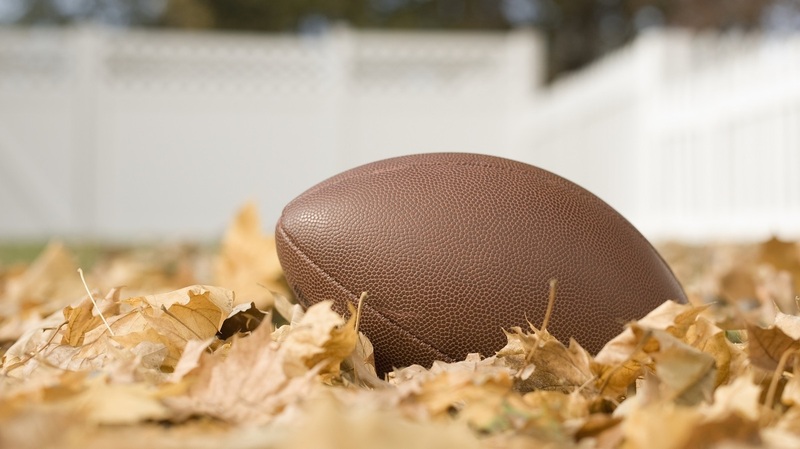 Election year or not, nothing says fall like football and basketball — and while politics may dominate the public consciousness, there are a lot of people flipping the channel to sports for a respite from that kind of action. As a long-suffering Miami Dolphins fan, I'm preparing myself for more of the same: Exhilarating leads that go swiftly to hell in the closing moments of the fourth quarter. And as far as my Miami Heat are concerned, I'll be surprised if we even make the playoffs in 2017. At the very least, there are books — yeah, books — to help wash some of the pain away. But let me not cry you a river. Instead, here are five books that will be a welcome treat for readers and sports fans. One of the most fascinating reads of the year, Boys Among Men takes a deep dive into the lives and careers of a special group of basketball prodigies, specifically those who made the leap into the NBA straight out of high school between 1995 and 2005. From Kevin Garnett and Kobe Bryant to Dwight Howard and LeBron James, there is no shortage of illuminating anecdotes. Award-winning basketball writer and former Grantland staffer Jonathan Abrams ignites every page with clear, fine-tuned prose and analysis. In addition to never-heard-before stories Abrams got through interviews with some of the NBA's most elite athletes, there are details into some of this generation's "busts" — players like Kwame Brown, who was drafted by the Washington Wizards in 2001. Brown was the first number one draft pick to be selected straight out of high school, but, like many others before him, he fell short of the glory. Boys Among Men is a fresh and heartbreaking account of what happens when teenagers put it on the line and go hard at the big boys. In God is Round, the respected Mexican writer and journalist Juan Villoro crafts one of the most enthralling books on soccer in years. Translated by Thomas Bunstead, God is Round is something of a love letter to the world's most beloved game — which, given its international popularity, Villoro calls "football" rather than "soccer." Villoro weaves the lyrical and the journalistic with the rhythm of a poet, taking a novelistic approach to the writing, and offering insights into the larger complexities of the game. By looking at sports, Villoro writes, "we can understand behaviors that relate to how we express and give in to our emotions in contemporary society." While most sports fans know Kareem Abdul-Jabbar as a Hall of Fame basketball star and six-time NBA Most Valuable Player, he's much more than that. Since retiring from the court in 1989, Abdul-Jabbar has worked with the NBA in several different capacities, as well as becoming a widely revered writer, journalist, and activist. In the straightforward but engagingly-written Writings on the Wall, Abdul-Jabbar tackles topics like sports, politics, parenthood, and the Black experience in America. While Writings on the Wall is not wholly a sports book, Abdul-Jabbar's keen insights into the world of sports — one chapter demands to know, "ARE YOU NOT ENTERTAINED?" — and their meaning in broader culture are worth investigating. Everyone loves a great sports rivalry; they inspire intense levels of excitement, debate, and anticipation among fans. Muhammad Ali versus Joe Frazier, Magic Johnson versus Larry Bird, Serena Williams versus Venus Williams — and then there's the decade-long competition between tennis gods Roger Federer and Rafael Nadal, which ultimately made each a sharper, more well-rounded player. In a new book, translated by Don McGinnis, Argentine author and sportswriter Sebastián Fest delves into the match-up that has come to define one of the best eras of tennis. "Neither of them are military men," Fest writes. "But the metaphor is especially valid for defining their styles of play. There are variations, yes, but the pattern is basically thus: from Nadal's side bombs are dropped, and from Federer's sector missiles are returned." In her new memoir, soccer star, coach, and two-time Olympic gold medalist Abby Wambach tells the story of her struggles on the field and off, including a battle with alcohol and prescription drugs. She also sheds light on a competitive upbringing alongside six siblings: "Even manners are a contest. It is widely acknowledged that the Wambach kids are the nicest and best behaved in all of Pittsford." Wambach has built a reputation as one who never bites her tongue, and in this lucid and wrenching debut, she remains true to that. In chapters like "Lesbian," "Tomboy," and "Addict," she gives readers a piece of her mind on things like gender equality, drugs and alcohol, and her divorce from longtime partner and former teammate Sarah Huffman. With 184 goals, Wambach is the all-time leading career scorer on the U.S. women's national team, and Forward puts that achievement in context with painful and beautiful candor.